Obviously, no one wants cancer. But if you, or someone you love did happen to get it, how important would it be to know what is most likely to help you to beat the odds? 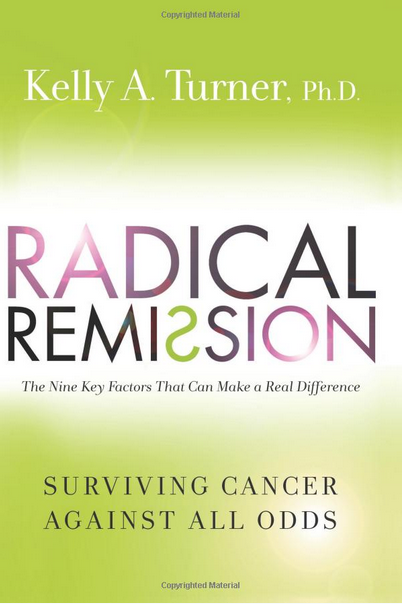 This week, 2 crucial books that tell you how – one new, Radical Remission - and we hear directly from its US author, Dr Kelly Turner in a guest blog; the other older, Surviving Cancer, but now easily available again. Both must read books for anyone affected by cancer. 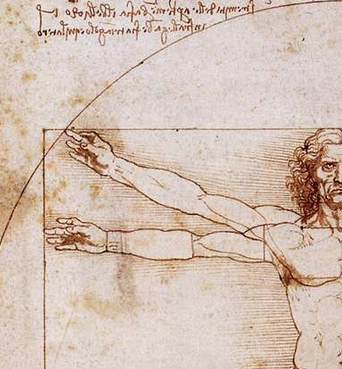 How often people speak of art and science as though they were two entirely different things, with no interconnection. An artist is emotional, they think, and uses only his intuition; he sees all at once and has no need of reason. A scientist is cold, they think, and uses only his reason; he argues carefully step-by-step, and needs no imagination. The true artist is quite rational as well as imaginative and knows what he is doing; if he does not, his art suffers. The true scientist is quite imaginative as well as rational, and sometimes leaps to solutions where reason can follow only slowly; if he does not, his science suffers. Travelling the country as Ruth and I have been doing these last few weeks, it is both heartening and inspiring to meet so many long-term cancer survivors. Some recognise us on the street and stop us to say hello and share their stories. Many have come to the various talks we have given. So many of them. Each one with a story that warrants a book in its own right. Hardly any that have been recorded in medical journals. None that I know of that have been studied for what their story may reveal that could save the lives of others. All praise then to Dr Kelly Turner from the USA who has researched these stories in depth and written what I consider to be the most important new book in the cancer arena for some time. Then there is Paul Kraus – one of Australia’s longest known survivors of mesothelioma and another author. Paul interviewed 28 long-term cancer survivors from the Gawler Foundation and tells their stories in the exceptional Surviving Cancer. This book has been hard to get for some time, so it has been added to my webstore, along with Radical Remission. Whether you are dealing with cancer directly or have lost loved ones, cancer is a disease that touches everyone – which is why I was shocked ten years ago when I discovered that no one was really studying people who healed themselves from cancer. Radical Remission – also called ‘spontaneous remission’ by doctors – is any cancer remission that is statistically unexpected. 1) People who heal from cancer without using any Western medicine at all. 2) People with cancer who first try Western medicine, but it does not work, so they are forced to switch to other methods, which do work. 3) People who use Western along with complementary and/or alternative medicine at the same time in order to overcome a very serious prognosis. After researching more than 1,000 cases of these cases over the past decade, I have learned that radical remission survivors such as Ian have 9 key healing factors in common. Seven of the nine most common healing factors that emerged from my research were mental/emotional in nature -- which tells me that the mind is so much more powerful than we think. The radical remission survivors I study very much paid attention to the state of their mind and believed in the power of their mind to heal the body. This is why they spent so much energy working on releasing suppressed emotions, increasing positive emotions as much as possible, tuning into and listening to their intuition regarding health choices, deepening their spiritual connection to divine energy, focusing on why they wanted to keep living, allowing themselves to ask for and receive love from others, and finally taking an active (as opposed to passive) role in their healing process. The techniques that they used to achieve these mental/emotional goals differed from person to person -- some people used meditation, others guided imagery, psychotherapy, energy healing, acupuncture, prayer, etc. However, those were simply techniques used to achieve the mental/emotional goals listed above. While we may not yet understand all of the mechanisms behind Radical Remissions, the sheer fact that they happen at all tells us that it is possible to turn around even the most advanced cancers - and that it is a fact worth celebrating. HAVE A STORY TO SHARE? WANT TO INSPIRE OTHERS? Kelly Turner has set up a research database where new stories are most welcome: www.RadicalRemission.com. Need more inspiration? Want direction from those who have done it? Want to know what is possible? For many years, while working at the Gawler Foundation, I gathered stories of remarkable recoveries. 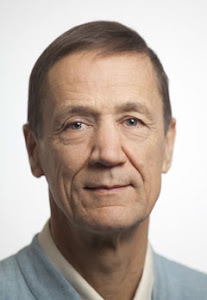 Paul Kraus, himself Australia's longest mesothelioma survivor, then interviewed 28 of these people and in Surviving Cancer, warm-heartedly recounts their stories. These stories are unique in the way they relate healing journeys from first diagnosis to ultimate recovery. Yet behind each person's story there are certain common threads. Chief among these is that above and beyond medical treatment each individual received the benefits of self-empowerment by adopting strategies learnt from the wonderful therapeutic team at The Gawler Foundation. I cannot recommend this book highly enough. It is full of inspiration, hope and direction. 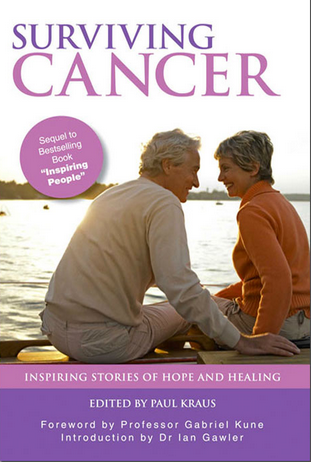 In my opinion Surviving Cancer is a must have book for people affected by cancer. Great to read, then keep on hand and dip into whenever the need for a lift is there. Reading the accounts of recovery in Surviving Cancer provides a recipe for hope and healing. What do the super powers have in common? Not so much it seems some days, but at least they are all soon to publish the new edition of You Can Conquer Cancer! The old edition went into over a dozen translations, and as the new edition is such a big step forward (it is virtually a new book the re-write was so thorough), I must admit to being very pleased that it has been taken up by China, Russia, the USA and the UK. So far, translations/new editions are also set for Taiwan, Hungary, and Malaysia. Fascinating! The road trip/ speaking tour continues to be a delightful mix of meeting wonderful people, travelling this extraordinary land (this week we are in Cooktown - how cool is that!) while speaking in capital cities and some parts we would never normally be able to get to. With the last events of Le Tour being in Adelaide: evening public lecture Tuesday16th September and day workshop Wednesday 17th September.